If you’re thinking of something bold, something embellished, something ruffled or cut-out or appliquéd, you’ve come to the right place. 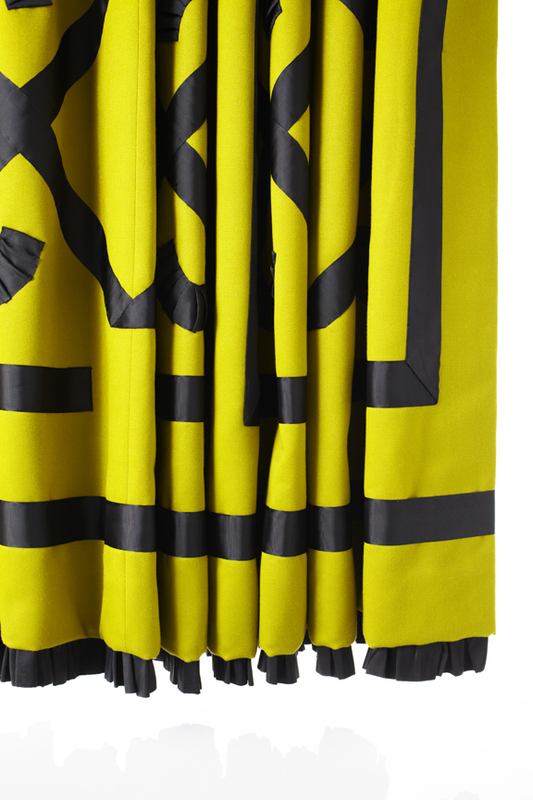 Wool felt drapery panels with silk satin appliqué and pleated ruffle base, designed by Michael Tavano. 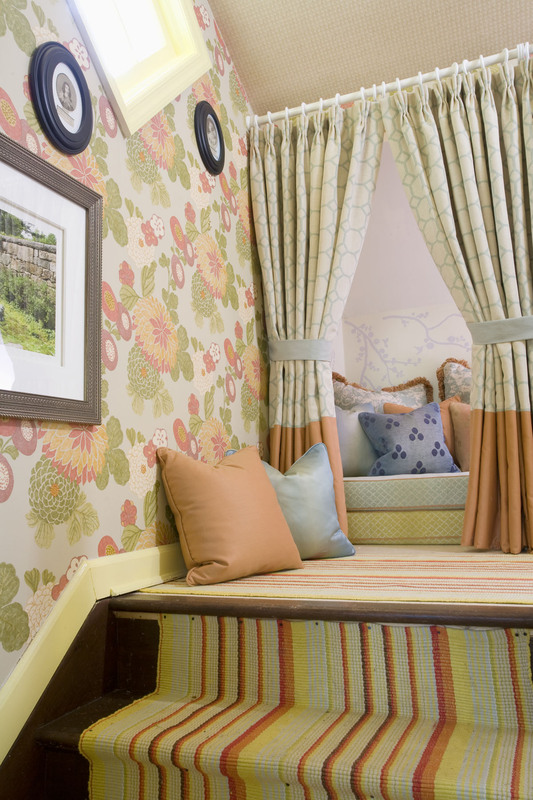 Triple pinch pleat drapes with solid bottom panel and contrasting tie-backs, custom upholstered double mattress and cushions for a super-cozy “Nap Nook” designed by John Loecke and Jason Oliver Nixon of Madcap Cottage.